Katie Melua's UK website has undergone a makeover, complete with a little album release count down (6 days and counting). The time is near...well...if you're lucky enough to live in Europe. 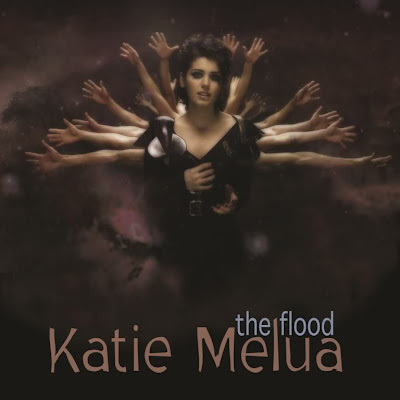 In the meantime, check out these two stunning live performances of Katie Melua's new single "The Flood," out now in the UK. Her new William Orbit produced album called The House is due out in the UK on May 24th and in the U.S. on August 3rd via Dramatico Music. The first video was taken from the Mr. Switzerland telecast on May 8th. Stunning performance. I love the dance break down where Melua starts grooving to the music. The second performance comes from Quelli Che Aspettano on Italian TV, May 9th. Another strong performance. Can't WAIT for this album. Check out Melua's newest blog where she writes to fans in the midst of her international promo tour, some of which has been hindered by the Icelandic volcano's ash cloud. According to Melua, looks like we can expect a longer version of the promotional clip that premiered on YouTube earlier this Spring. How much longer? Nearly 28 minutes according to Melua. The video will showcase music as well as interviews with both Melua and her producer William Orbit. Exciting! Now UK peeps...go buy the single! Oh...and before I go check out this new remix of the single by Jakwob! FIRE! *SIGH* I love Jewel. Check out the video for her new single off of Sweet and Wild called "Satisfied." Simply beautiful. Sweet and Wild is out on June 8th.